Power Grid Corporation of India Limited has a vacancy for the post of Executive Trainee (Human Resource). 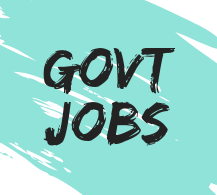 There are 25 jobs under pgcil recruitment 2018 through UGC National Eligibility Test (NET). Out of total posts 13 is for general, 06 posts is for obc, 04 jobs is for sc and the left 02 vacancies is for st candidates. For this latest govt job in pgcil, candidate must fill the application form before the 31–July–2018. Pay Scale (Rupees) per annum ⇾ In this vacancy of Power Grid Corporation of India Limited, pay scale is divided in 2 categories which are described below. Note ⇾ Candidates are required to appear in UGC National Eligibility Test (NET) – of July / June 2018 and secure 40% aggregate in both papers 1 & 2. *SC / ST / PwD / OBC must secure 35 % marks.